3 months wedding planning - Tips and Tricks! The wedding planning process begins the moment you say “yes” to the person of your dreams. Engagements are VERY exciting – and you’ll always remember the moments that led you to your big day. Wise words from WeddingMix bride Amanda, who included her fiance’s breathtaking helicopter proposal in her WeddingMix wedding video! Speaking of engagements – check out this awesome engagement party featuring actual FIRE DANCERS! 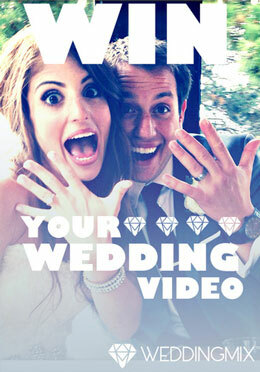 This video was filmed using the WeddingMix App and cameras. The last thing you want is for wedding planning to turn stressful! We completely understand! You want to savor each moment of your #engagedlife, so we’ve put together a quick “to do” list to keep you on track at the 3 month mark! This one may not entirely up to you – your bridesmaids and family members are likely to have a few plans for this exciting event. Be sure to touch base with them before getting too involved in the planning process. You never know – they may have come up with something EXTRA fun! Don’t miss the rest of what bride Holly had to say about her bridal shower extravaganza! This part of planning may not immediately jump out at you as the most exciting part of the process – but remember how critical this document is to your big day! Seems like a no-brainer, right? However, you want to make sure the DJ knows what song is for the first dance, the father-daughter dance, etc… Additionally, you will want to give the DJ a list of songs that you may NOT want to hear at the wedding. Does the Cha Cha Slide kill the romance vibe for you? Be sure to specify you don’t want to hear it in advance. P.S. 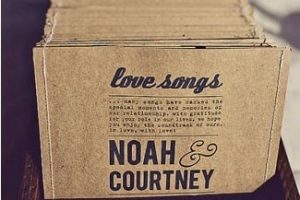 – Check out this helpful guest post with some stellar insider tips to create the PERFECT wedding song list! Your first dance is a moment that you and your guests will remember forever – and we have no doubt someone’s going to be filming it! Take advantage of your time to shine and consider a choreographed dance! It will be a great pre-wedding bonding opportunity for you and your fiancé! If you film your progress week by week, you’ll have a fun keepsake to treasure for years to come! Remember in My Big Fat Greek Wedding when the name of the groom’s mother was misspelled in the program? Yikes! Avoid this experience and the accompanying awkwardness by double checking all the details one last time! For good measure, it’s always a good idea to have someone who HASN’T been staring at the designs for weeks take a look at it as well! You’d be surprised what a fresh set of eyes may discover! 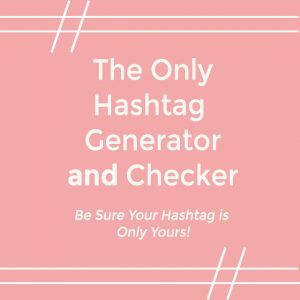 You’ve searched every group board on Pinterest for the PERFECT bridal hairstyle, and it is absolutely glamorous! However, like all Pinterest finds, the inspiration may not immediately match up to the reality. Meet with your hair dresser and schedule a practice session in advance – remember to be very clear about what you want. It’s better to find out you’re not a fan of the look on yourself BEFORE the wedding cameras are pointed at you. Most likely, some of your guests will be unfamiliar with the area. You may have relatives from out of town, or your best friend who you swear is just hopeless with directions – whatever the case, you don’t want these important people getting lost! Preparing a set of directions to the hotel is both thoughtful and provides insurance your special guests will arrive where they are supposed to! Again, this may not be entirely your responsibility – touch base with family members/friends who may want to be involved in the planning process. You’ll want to set a date far enough in advance that your guests will have time to clear their calendars to support you! You’re going to have a BLAST at the shower, so why not film the hilarious fun? You and your girls will love watching in back later! Looking for some specific tips on planning the shower itself? Check out this great post on creating a torture free bridal shower! 9 – Most importantly – don’t forget to have fun! You only get this experience once in your life, make the most of it! These are the memories that will last a lifetime – involve your fiancé in the process and together take charge of your upcoming day! 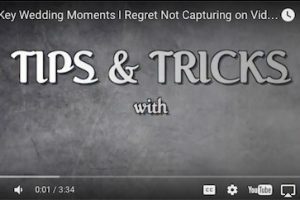 10 – Psst…did you know the wedding video of your dreams doesn’t have to break the bank? With all the other expenses on your plate – sometimes a couple may decide to cut the videographer to stay on budget. 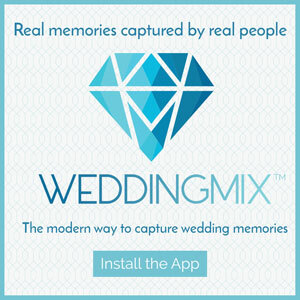 Don’t sacrifice your memento – get your WeddingMix package for less than your shoes! Feeling a little more confident in your wedding planning process? We know it can be a little overwhelming to keep track of all the small things, but that’s why having them saved for reference is SUCH a lifesaver. We hope this infographic helps! Here at WeddingMix, we LOVE engagements! You won’t want to miss out on this fun engagement highlight reel. So inspiring! Want a FABULOUS highlight video of your own? We have just the solution! 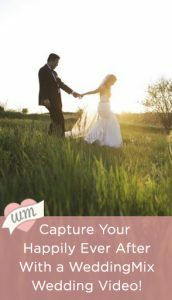 Have any additional ideas to share with fellow engaged couples on that last 3 months wedding planning? Let us know in the comments! 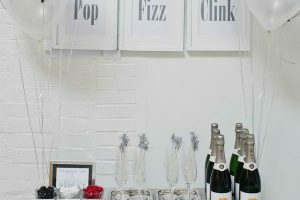 Stellar Engagement Party Themes: Get The Party Started!